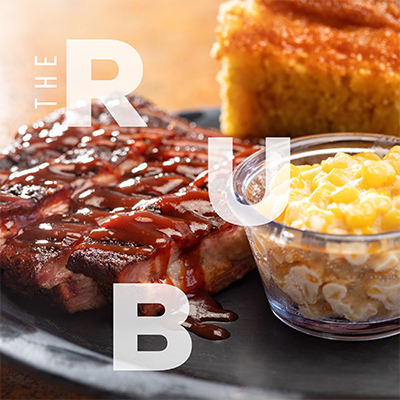 If you’ve never been to The Rub, Janssen describes the experience as traditional Kansas City barbecue, but with a twist. Janssen set out to push the boundaries by smoking traditional meats and serving them in a unique way. They’re known for their signature bowls, which combine their hand-selected meats with perfectly paired sides piled high in a bowl. 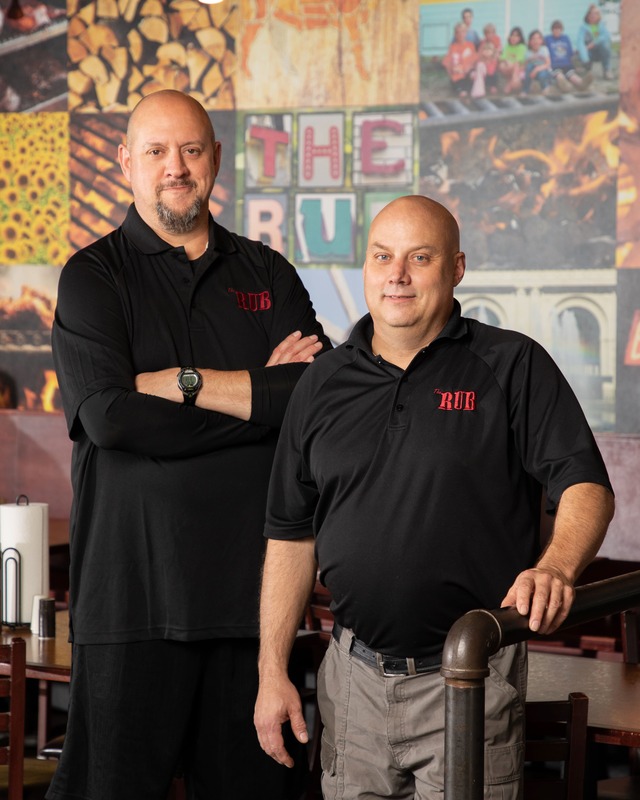 Their most popular items include their hash bowl, which is made with fried potatoes, grilled peppers and onions, pulled pork, burnt ends, chicken and sausage topped with onion straws and cheese. 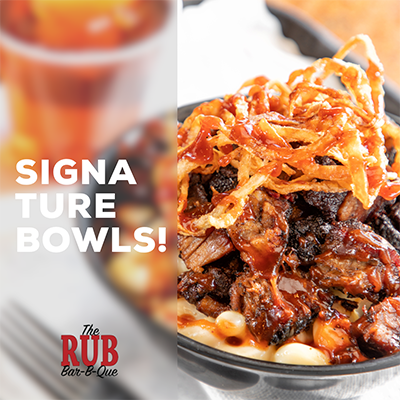 Their hillbilly bowl is another favorite among guests and is made with sugar-crusted corn bread topped with your choice of meat, barbecue beans and onion straws. Another top seller is the burnt end burrito, which is made with burnt ends, potatoes, jalapeño cheese and pico de gallo wrapped in a tortilla. 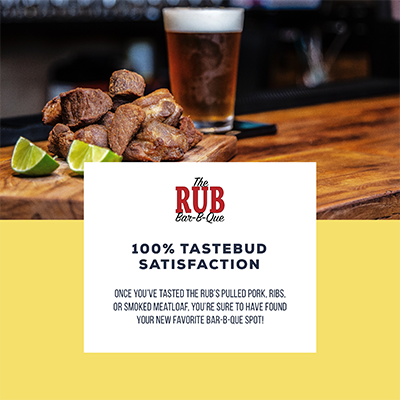 “Our rubs are strong and create a lot of bark on our barbecue,” Janssen says. 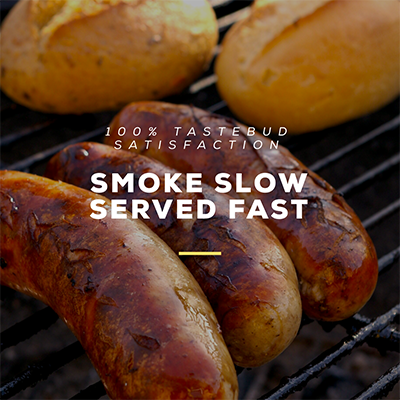 “We smoke 400 to 500 pounds of meat daily. 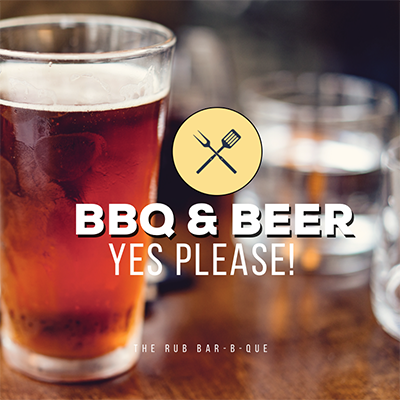 Our featured meats are burnt ends, ribs and sausage. 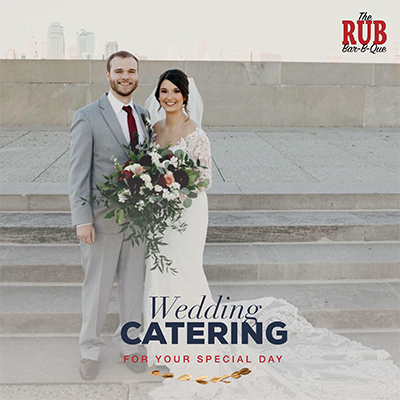 Guests keep coming back for more because of the great food, great value and great service.” Their catering business is just as popular as their restaurant, with catering making up half of their total sales. “We do a ton of catering. 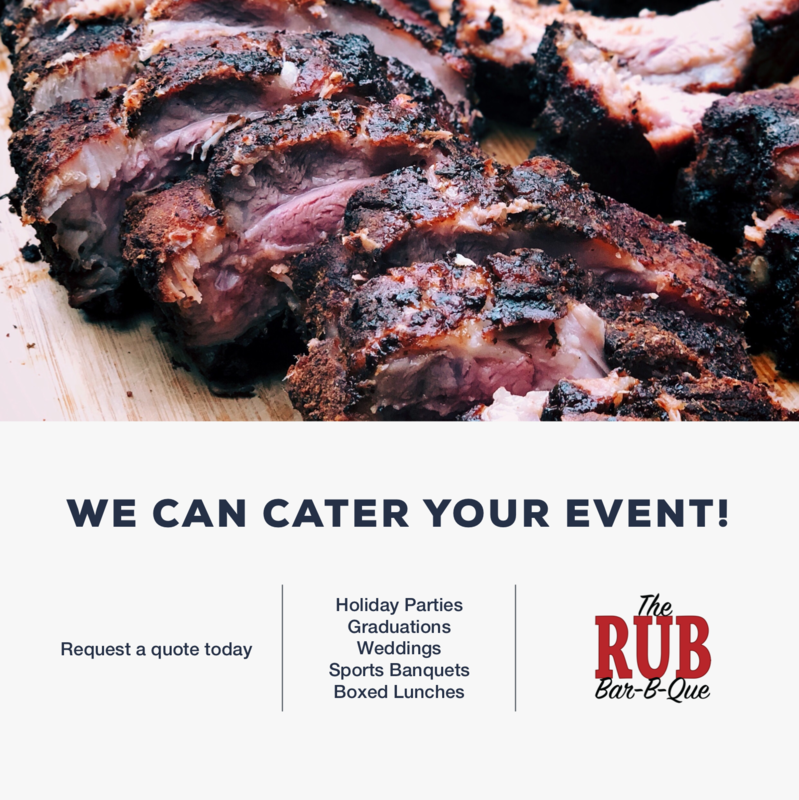 We do all kinds of school functions, holiday parties, graduations, doctors offices, car dealerships and weddings—we will do 55 weddings this year. 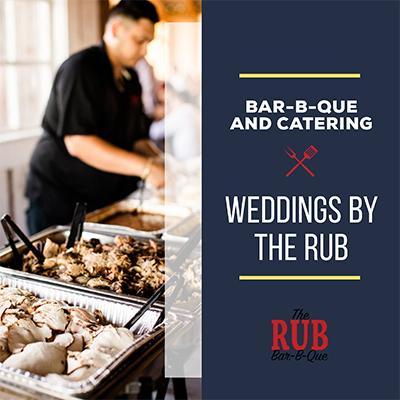 Our most popular menu items picked for catering include burnt ends, pulled pork, baked beans and Kate’s cheesy corn.” Not only do they cater, but The Rub also has a food truck that can be booked for any event. 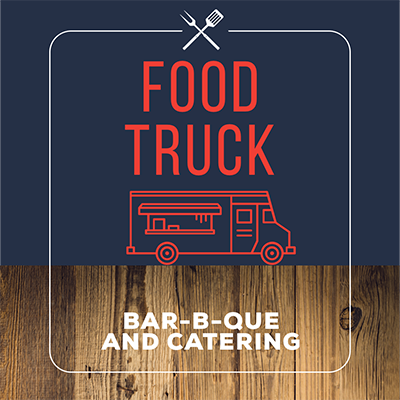 Be on the lookout for their food truck around town as well as some new menu items. “The food truck is up and running. Popular items are the mac and cheese bowl and burnt end nachos.” Want to learn their secret recipe? Sign up for a cooking class that mixes tradition with creativity for a truly unique experience. There’s a wide variety of classes to choose from, ranging from beginner to professional where you will learn grilling skills to make a more savory and tender meal.